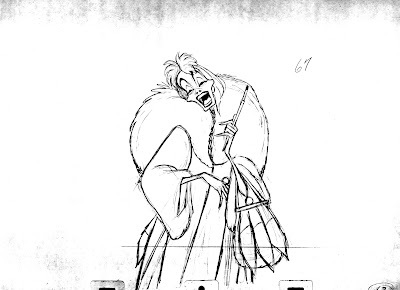 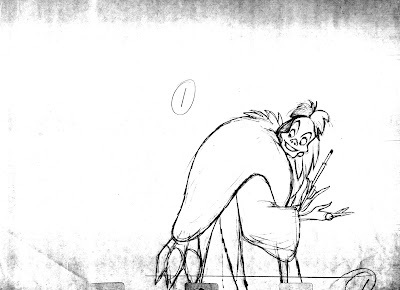 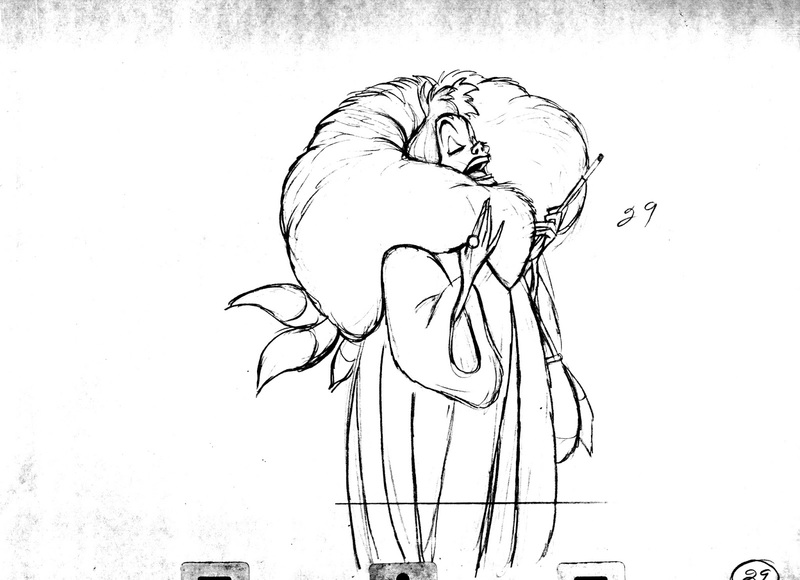 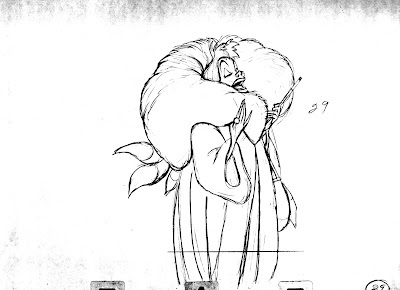 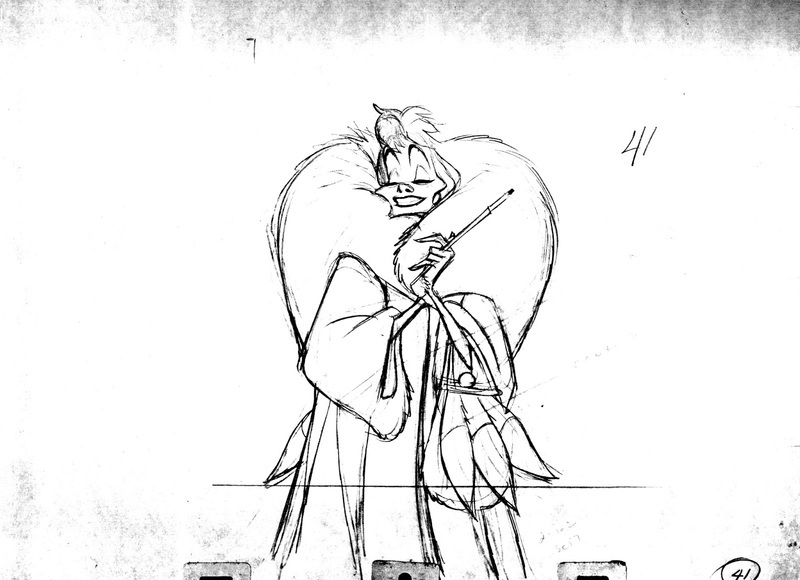 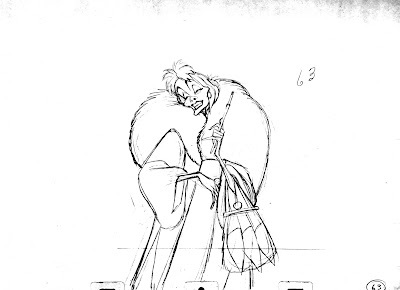 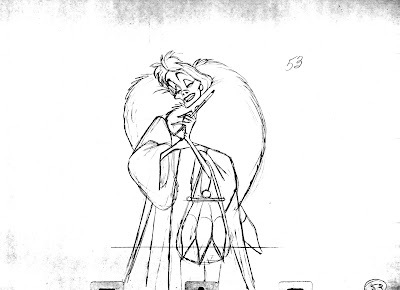 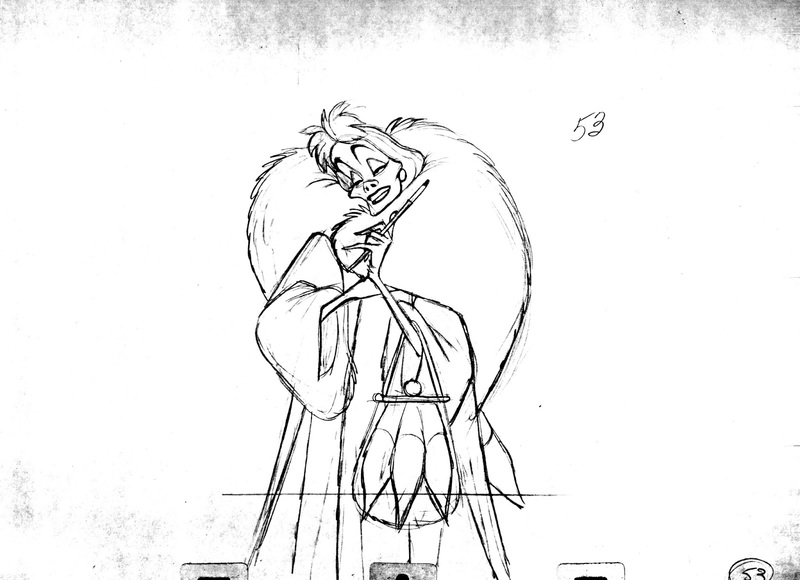 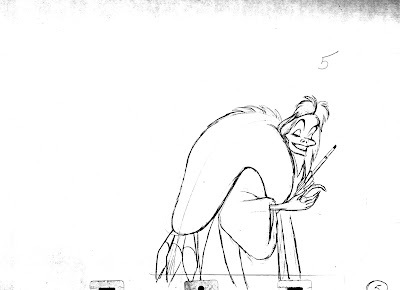 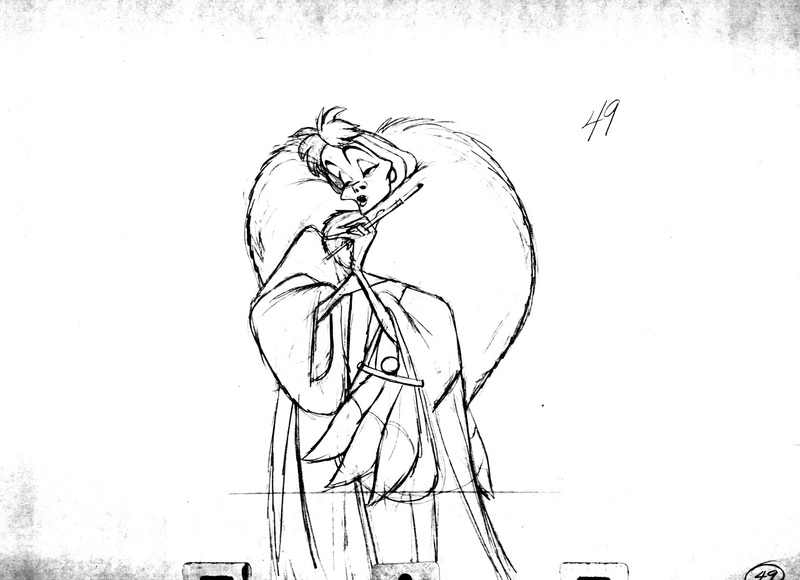 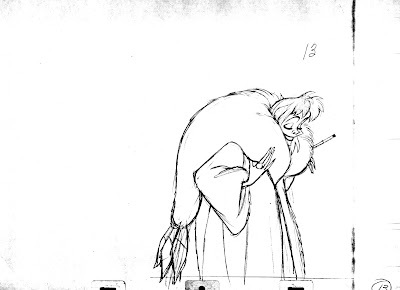 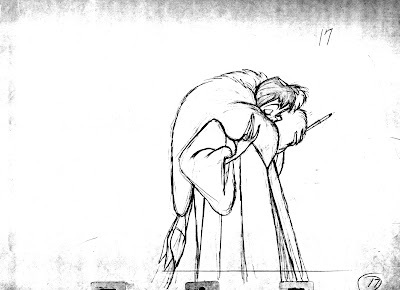 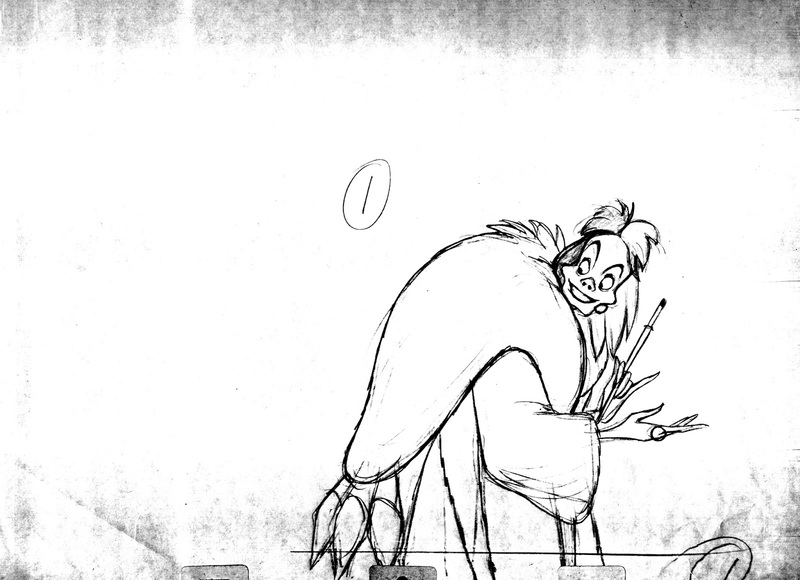 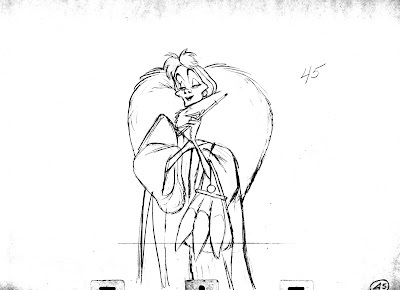 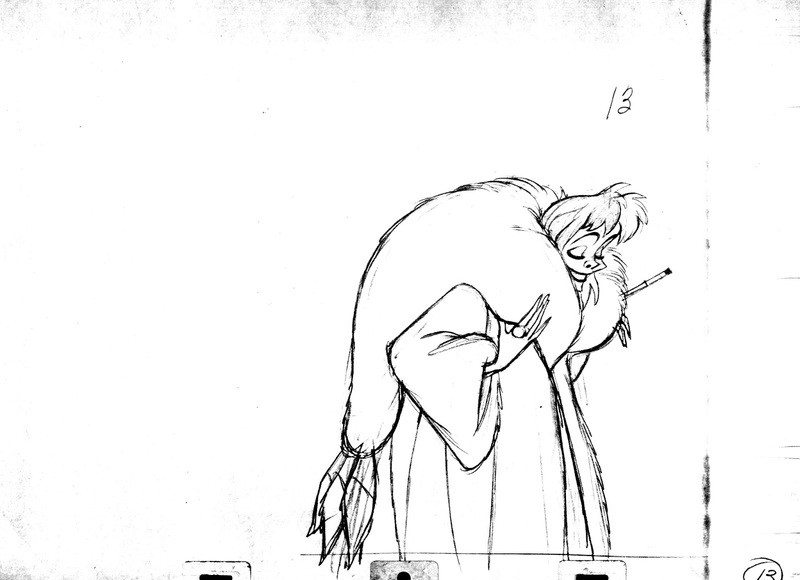 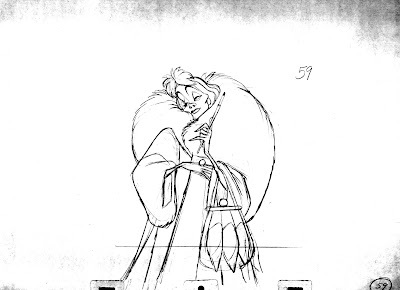 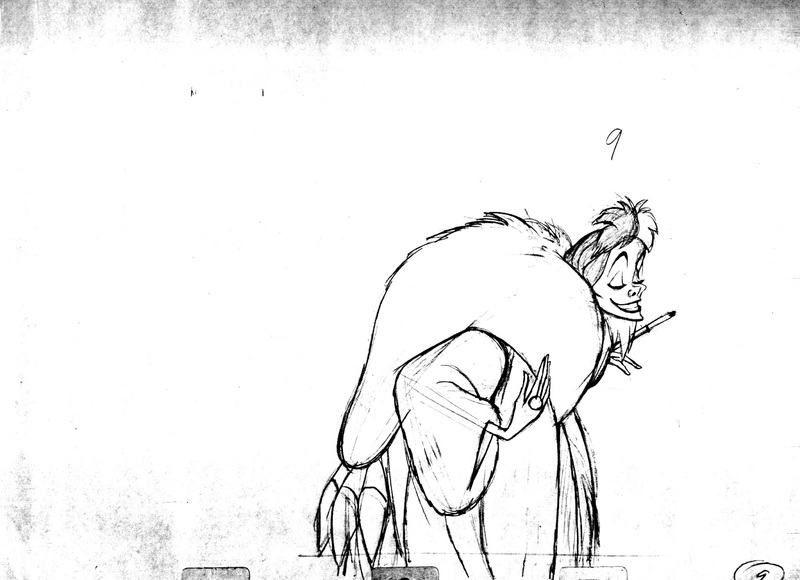 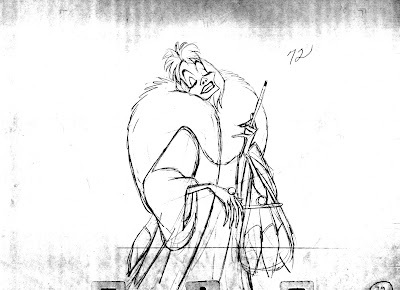 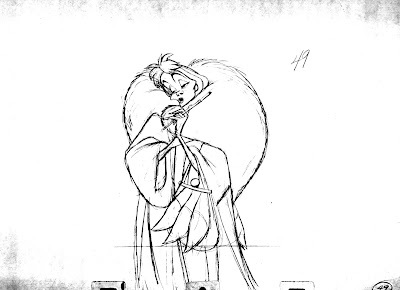 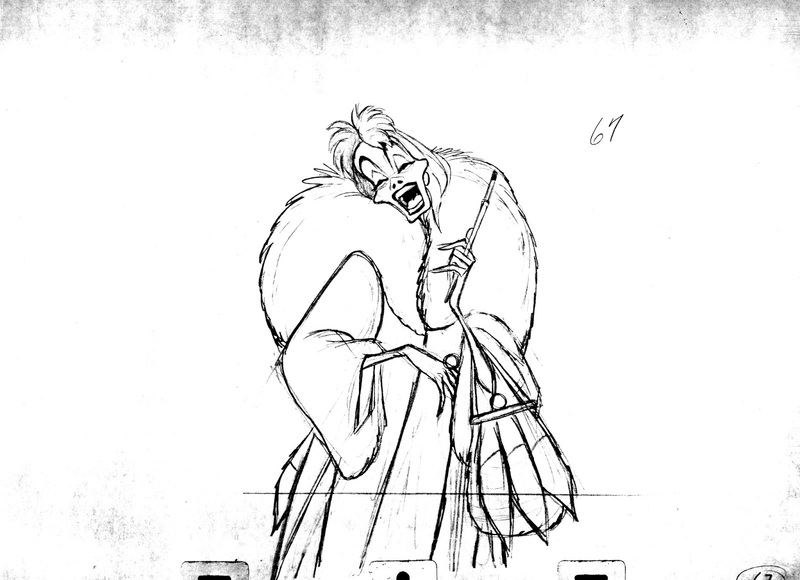 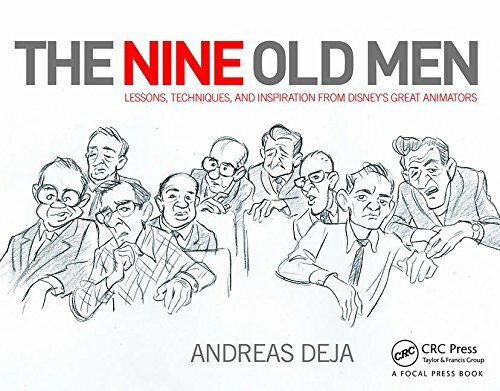 A fantastic scene by Marc Davis, who ended up animating all of Cruella's footage in 101 Dalmatians. 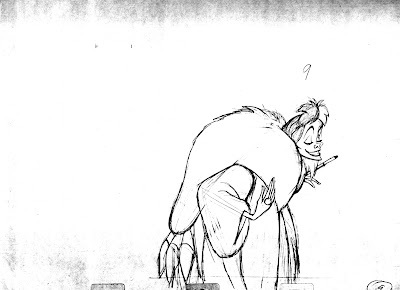 Leading up to this moment, Cruella tried to interact with Pongo, who fiercely growls at her. 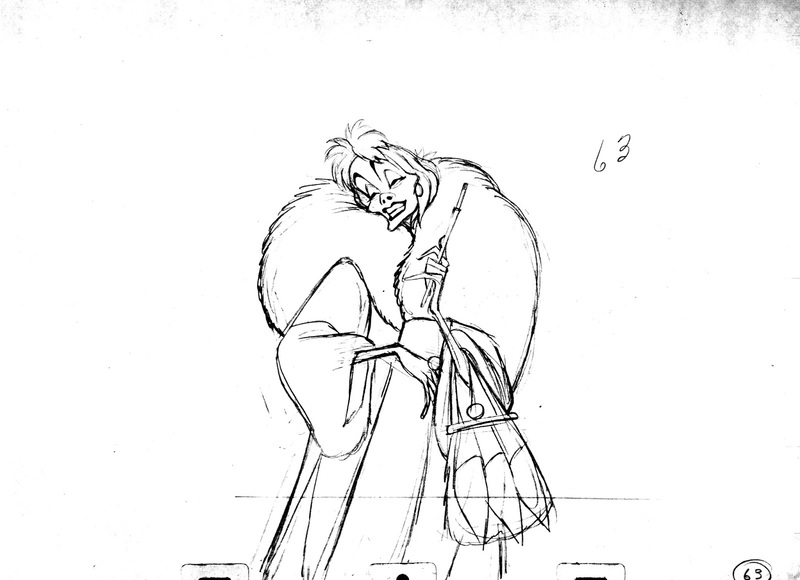 Anita, in an attempt to avoid a dangerous situation, tries to get Cruella's attention away from Pongo. 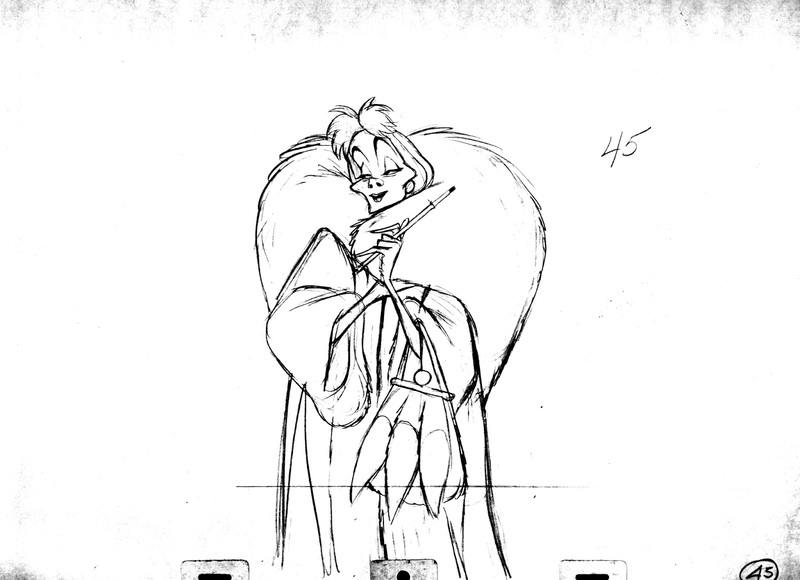 "Cruella, isn't that a new fur coat?" 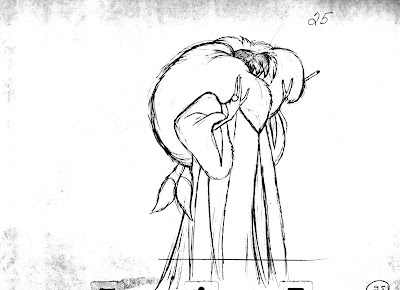 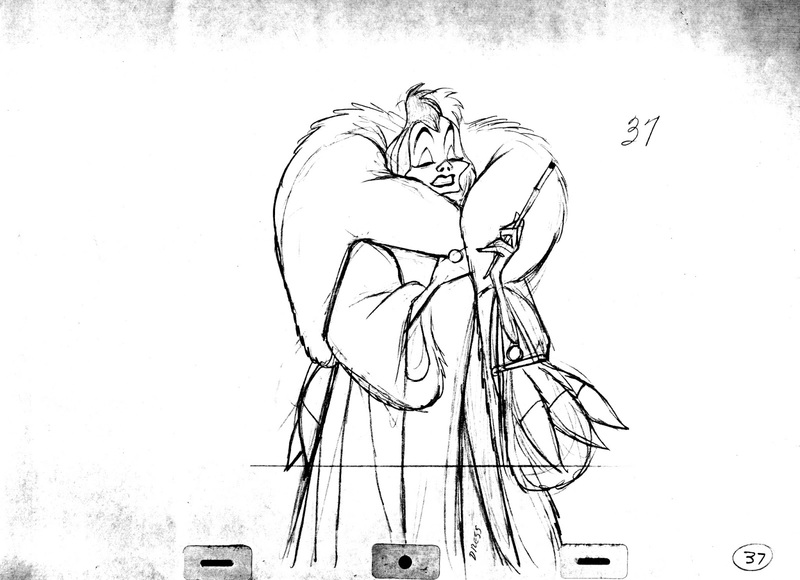 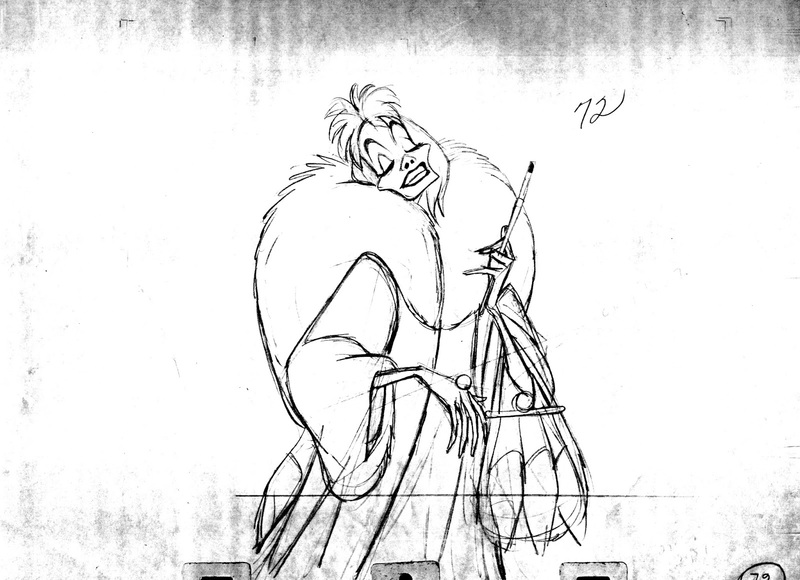 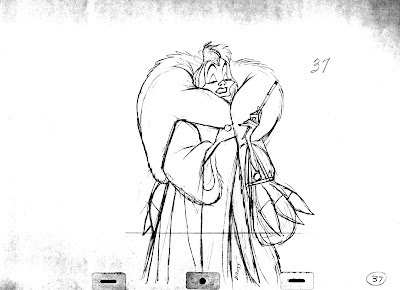 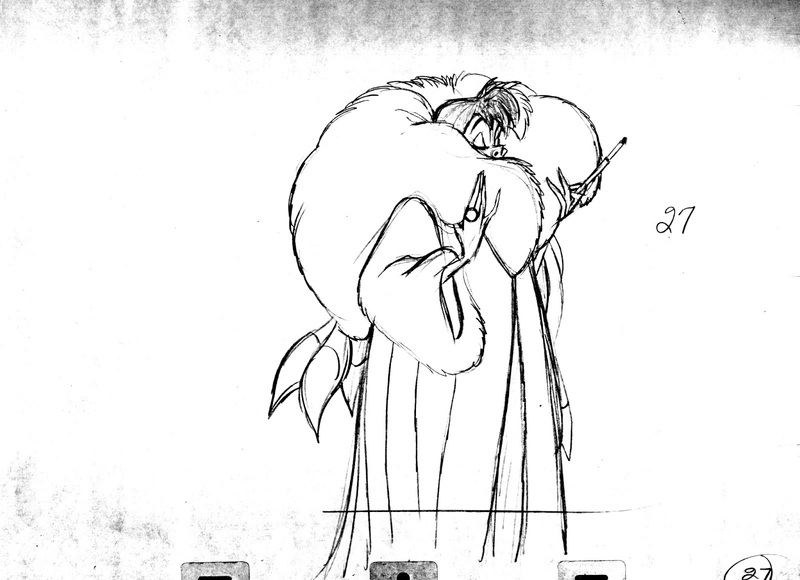 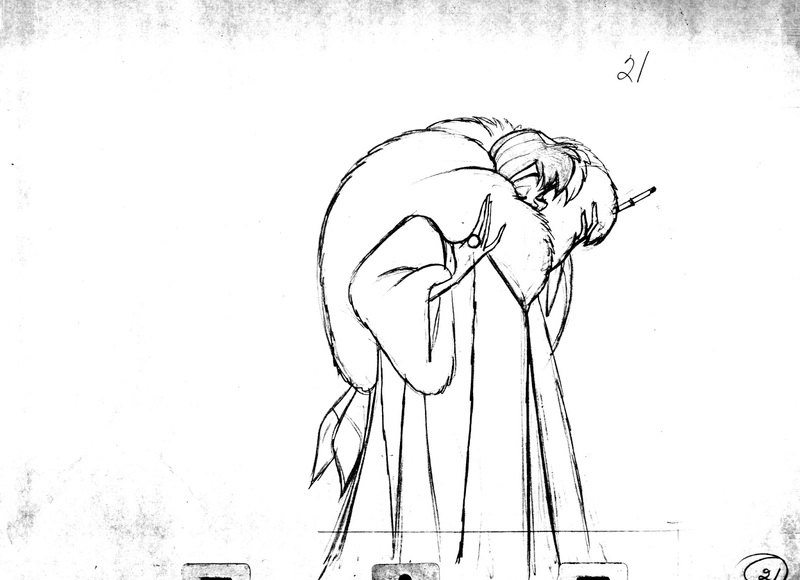 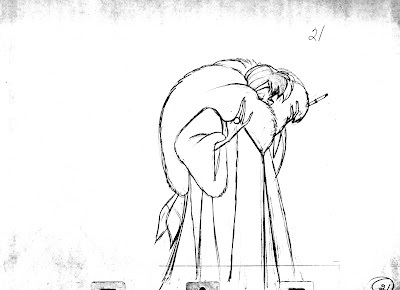 I love the way Cruella lifts up the heavy coat and buries her face in it, # 25. 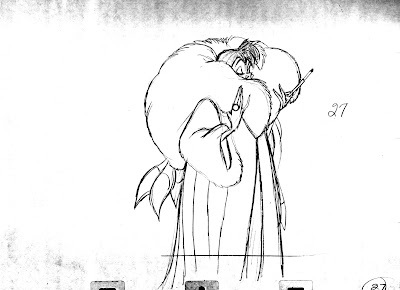 This is a great example of referencing some live action footage and then going to town with it by greatly exaggerating the idea that this crazy woman is truly nuts about fur coats.